Today in the BWRA we saw a continuation of moderate to strong SW winds in terrain with any exposure. Winds were cranking throughout the day however we observed little/no snow being transported. After 48 hours of sustained winds basically all exposed terrain has been stripped of any loose snow available for transport. This exposed terrain now consists of a myriad of snow surfaces from sun/temp crusts to sustrugi/scallops to shallow wind slab depending on aspect and elevation. 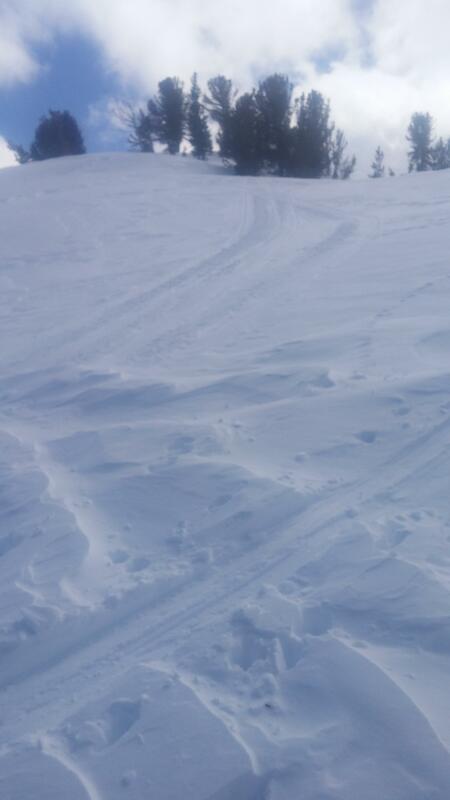 We sought out northerly, sheltered, mid elevation slopes for the potential for some soft turns. 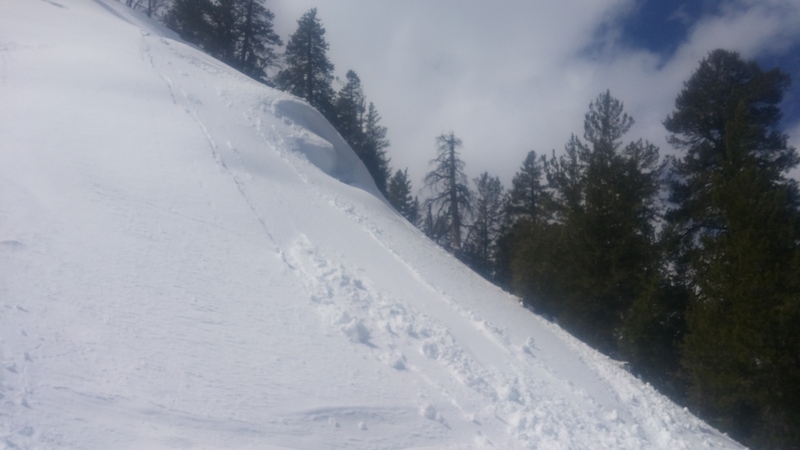 Any north facing slopes with sufficient pitch above about 8500’ were still sporting 4-6in of dry snow from the prior week’s modest accumulations. The snow surface was damp on any slopes with even a hint of East where it was easy to initiate "pushalanche" style wet slides with ski cuts on steeper angles. Strong plus winds at and above treeline however lack of loose snow for transport as previously noted. My partner commented that temps at our Sonora Snotel (8700') remained above freezing overnight. Hard to tell with the varying wind chill but I would guess it was close to 40 degrees F at 9K today. Temps did seem to be gradually cooling throughout the afternoon. It was mostly sunny East of the crest with more dense cloud cover visible west of Sonora Pass.